Bounce About Party Rentals have a large selection of Inflatables and Concessions for rent. Eastern Shore Inflatables offers great value and service on moonwalk rentals, dry slide and water slide rentals and obstacle course rentals. 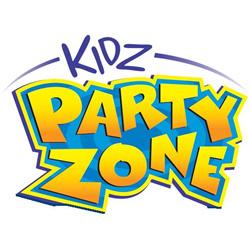 The best party rentals and the largest selection in Columbus, GA and Phenix City, Al. Free delivery and setup! Huge assortment fun for all ages. We are America's leading provider of Inflatable Party FUN! Large inventory, fun for all ages. We are America's leading provider of Inflatable Party FUN! We are the local representative for Space Walk, the leader in the inflatable rental business. We can assist you in your party and event needs for almost any occasion. We are suppliers of bounce houses, water slides, and many other fun and entertaining party items. Please call us before your next event. Add a Alabama Bounce Business! Advertise your Alabama bounce house business in this inflatable rentals resource and have your Alabama inflatables business information appear across multiple Children's Party and Kids Event rental websites. Bounce House Guide is the most complete online resource of Alabama Bounce House Rental information. Find a Alabama Bounce House For Rent, Themed Bounce Houses, search for Moonwalks, Jumping Castles, Alabama Inflatables, Obstacle Courses, Sumo Suits, Bungy Trampolines, Jousting, Alabama Giant Slides, Water Slides, Party Rentals, Carnival Games, Concessions, Fun Food, Dunk Tanks, Table and Chair Rentals, Photo Booths, Alabama Festival Rentals, Alabama Event Rentals, and more! Do you own a Alabama Space Jump House Business? We also feature HOT ways to advertise and market your Alabama Bouncey House Business. Add a Alabama Bounce House Business or take advantage of our Premium Bounce Advertising & Featured Listings. Buy or Sell Equipment in the Inflatables Classifieds. Promote your Alabama inflatable business with Space Jump House Marketing Products, browse the Bounce House Blog, follow Bounce House Social Media on facebook Space Jump House Rentals or twitter Space Jump House Rentals, discover multi-site marketing with the Kids Party Resource Network, or Advertise a Alabama Bounce House Business For Sale.